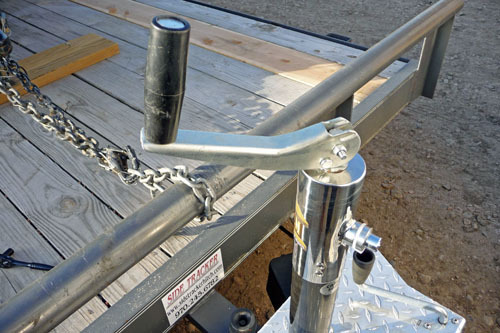 Can you Keep your Trailer from Going South? 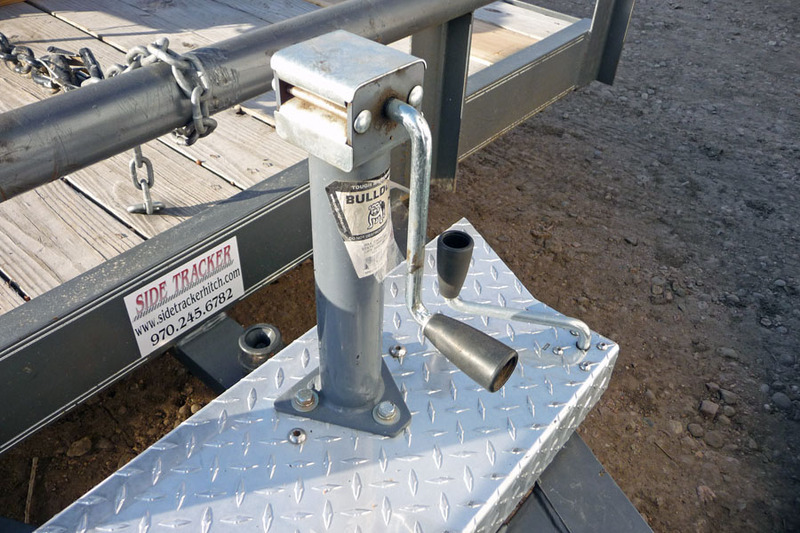 It’s getting common, someone telling me their white stock trailer was stolen while parked at a sale barn or their new Living Quarters horse trailer was stole while at a fair grounds equine event. 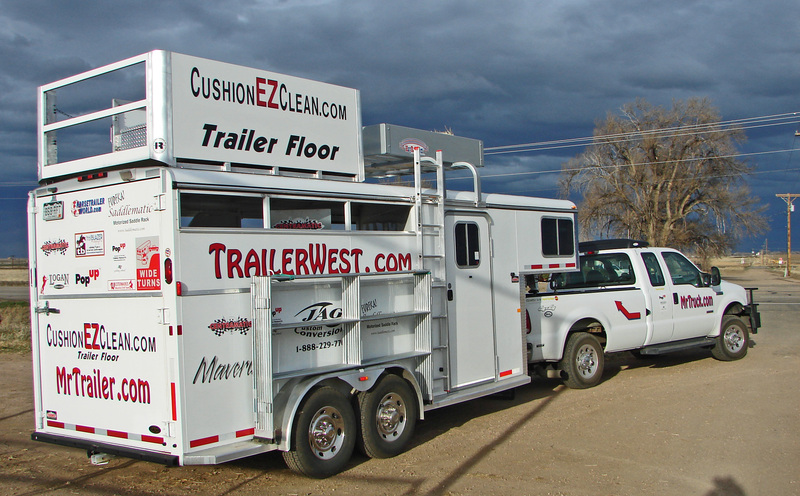 The horse and trailer websites are posting the latest missing trailers. 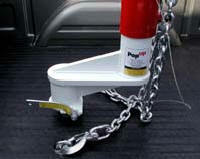 Desperate times increases the population of desperate criminals and trailers are an easy target. 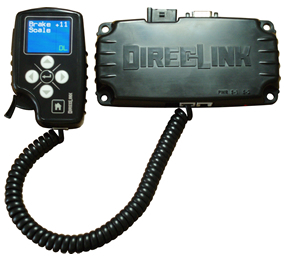 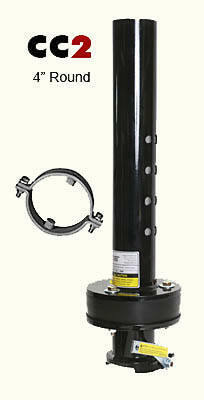 I’m getting calls from companies that want me to review coupler locks, jack locks, wheel locks and alarms. 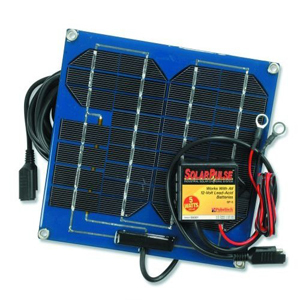 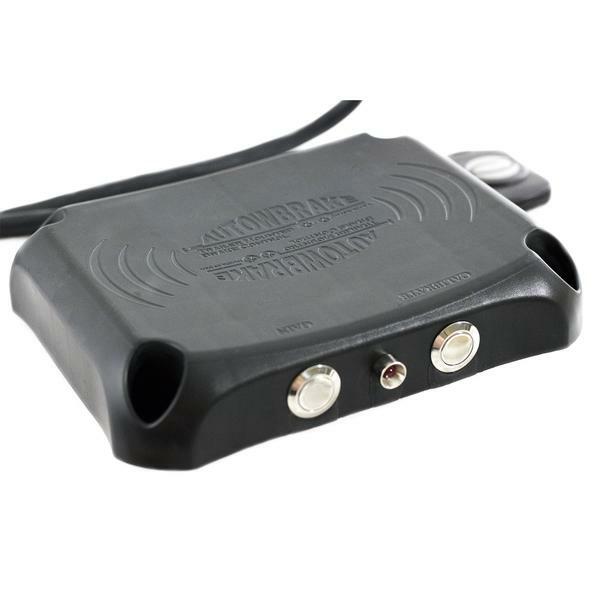 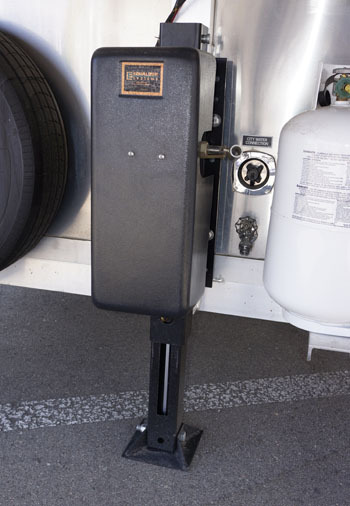 No system will totally prevent theft, but the devices that make stealing your trailer a long drawn out process, should discourage the bad guys, sending them to look for easier targets. My trailer is different as it is covered in banners and sticks out going down the road. 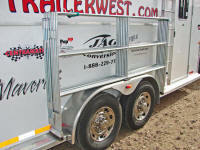 I’ve seen pink trailers and horse trailers covered in daisies to keep the thieves looking elsewhere. 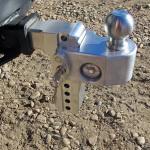 GusHill Industries has several trailer locks, the one reviewed here is the DaBull for Bulldog couplers. 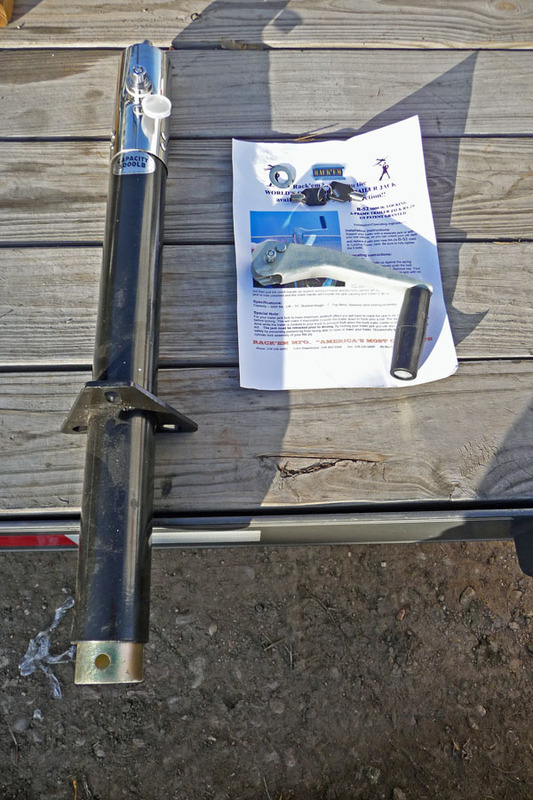 DaBull encases the coupler and the lock. 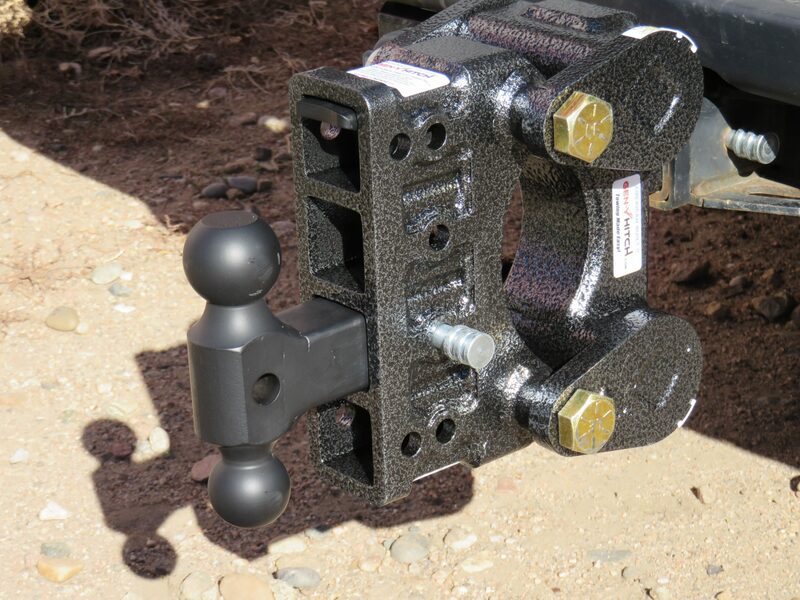 Some couplers have holes for a padlock but all it takes is a smaller ball or peg to fit the smaller hole and drive off with your trailer. 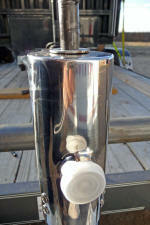 DaBull covers the coupler in cast aluminum and a puck style lock from Pacific or ASSA Lock is covered too. 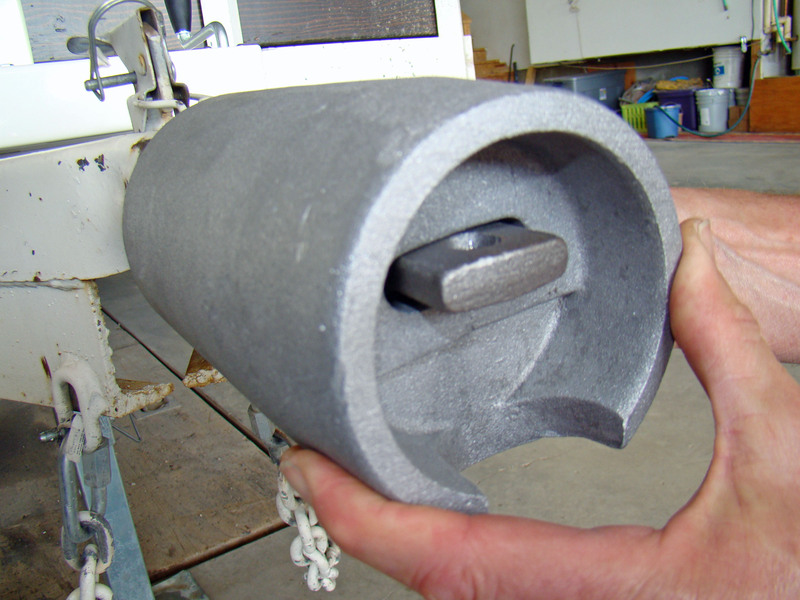 Cast is hard to cut or torch. 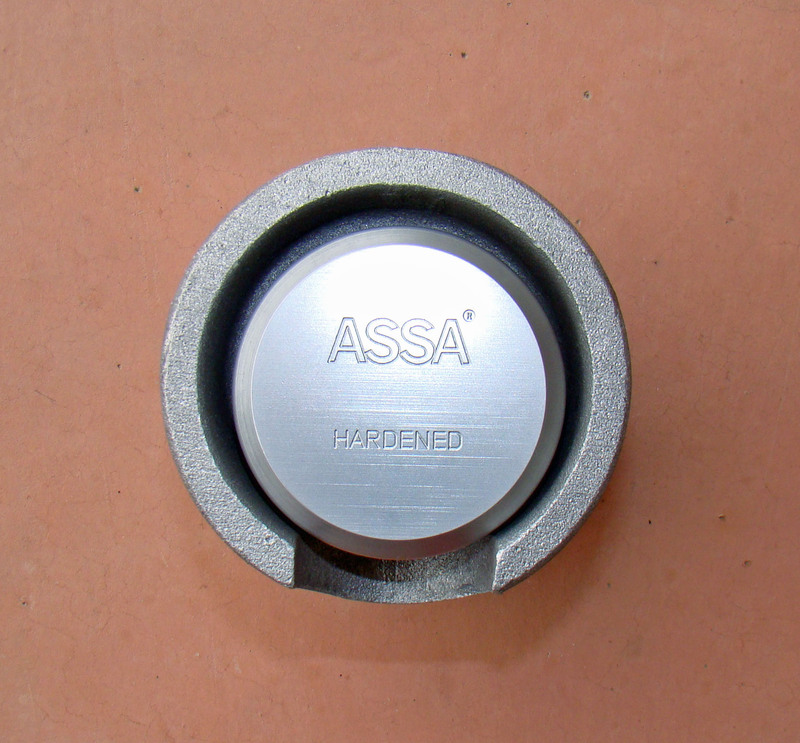 ASSA locks are 11 pin high security locks.http://www.trailerlocksonline.com/bumpthis.pdf I took the lock to a locksmith, and he said it was a good lock with it’s special cut key, it would be like picking two locks. 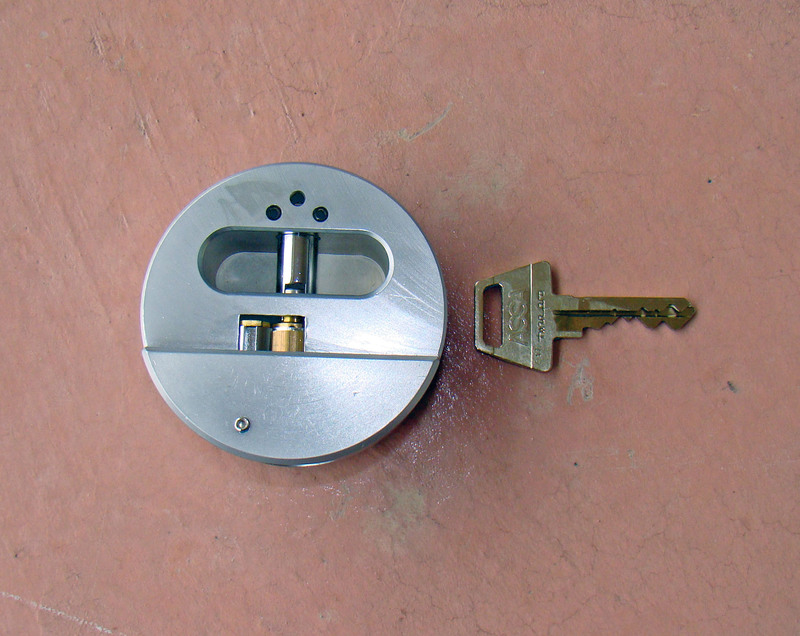 We are waiting to see if the locksmith can pick the lock, the results will be in the next update with DaKing, kingpin lock. 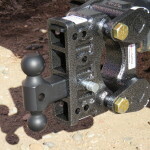 Bulldog couplers from Cequent, are a staple with horse trailers, you can find them on 30 year old trailers. 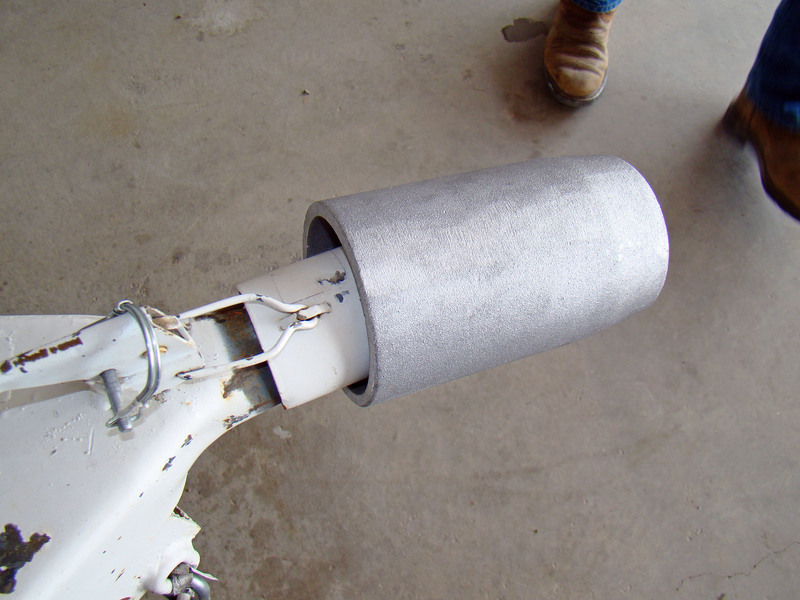 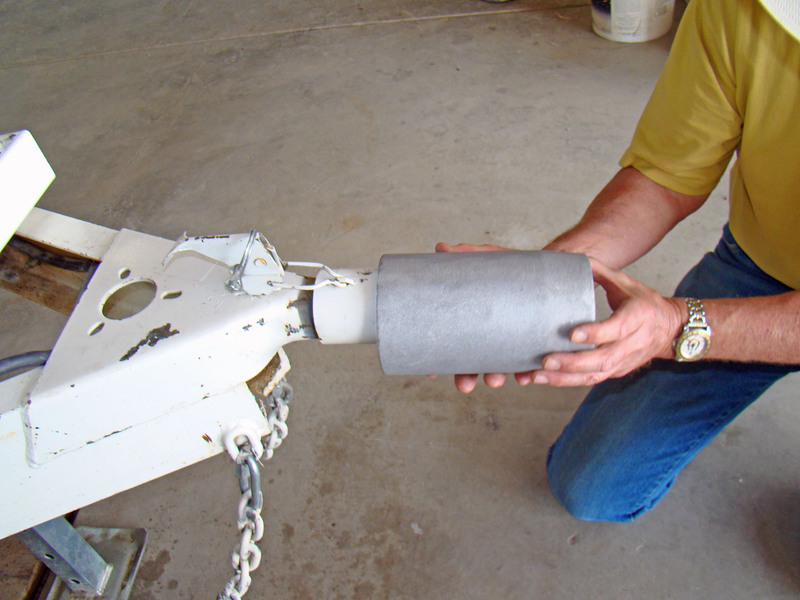 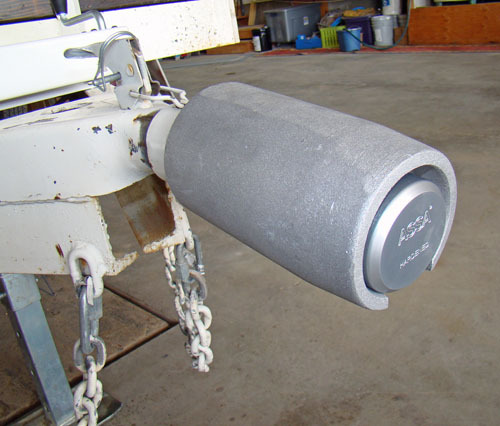 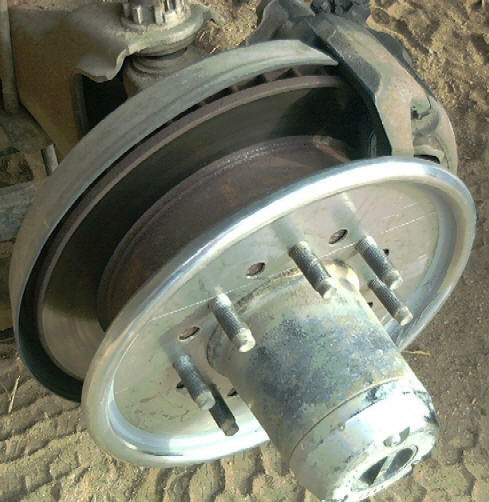 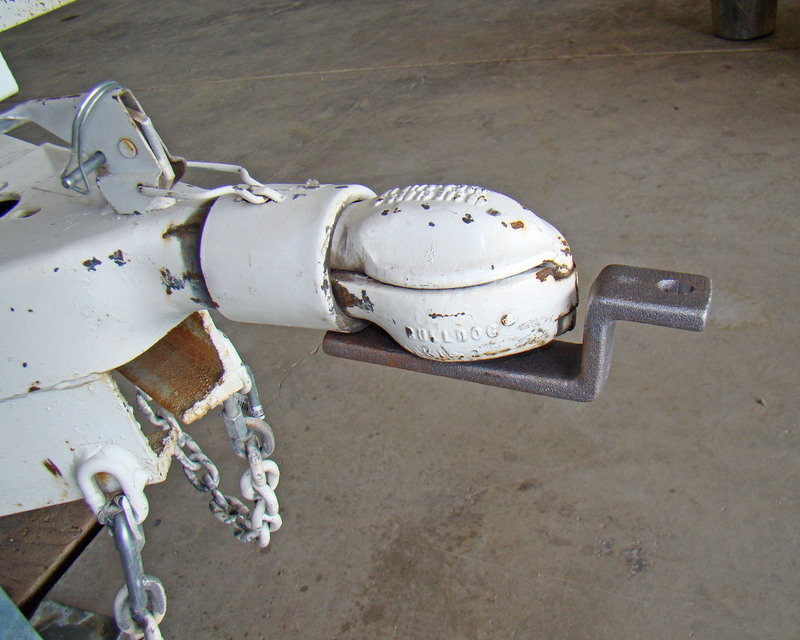 The DaBull ball goes on the coupler….. then the cast aluminum sleeve slides over the coupler.. the ear exits the sleeve….